You’re ready to begin your dream of opening a business, but you’re hesitant to take out a small business loan and pay interest on it. Fortunately, there’s another alternative. 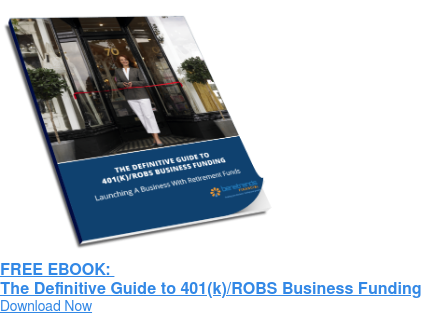 You have the option to use your 401(k) to start a business – penalty-free. The visionary Rainmaker Plan®, also known as ROBS (Rollover as Business Start-Ups), was pioneered by Benetrends Financial in 1983. It has helped thousands of entrepreneurs like you receive funding in a manner that is safe, effective and legal. It’s also quick – many receive their funding in just 10 days. Benetrends Financial will establish a C-corporation for you, ensuring the incorporation process is completed accurately and legally. You will be provided with detailed instructions for opening the corporate and retirement plan bank accounts, as well as a customized retirement plan that best suits your individual needs. We will guide you through the process of rolling over your funds from your existing qualified retirement plan or IRA to your new corporation's customized plan. The plan is now able to be invested in the newly formed C-corporation by purchasing stock in the corporation. You have the capital to start, purchase or recapitalize your new small business or franchise. With The Rainmaker Plan®, you’re able to grow and succeed in business quickly. What’s more, the absence of debt and monthly payments means you’re also poised to thrive over the long term. You still need to pay your bills and living expenses while you are starting out. That’s why our plan enables you to take a salary once you form an active business. Other companies may say they are more conservative and don’t allow this, but in our 35+ years of providing this service, it has never been an issue for a Benetrends client. Assurance in knowing that we’ve NEVER had a plan disqualified!